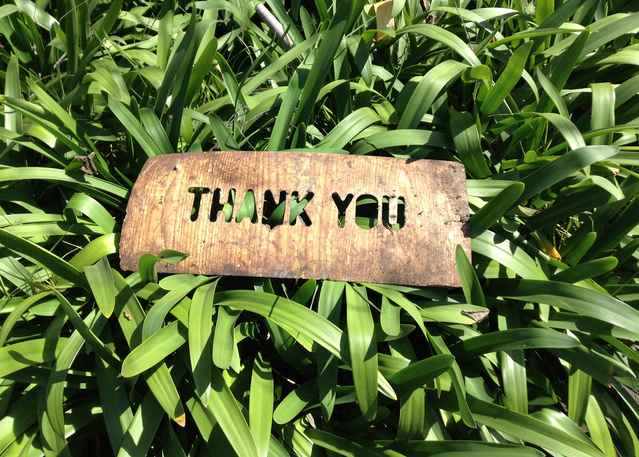 In the age of emails, writing and sending out Thank you notes is becoming a lost art. I wrote two posts recently about the importance of sending thank you cards. But let’s say you’re busy, and you don’t have the time to compose a nice card. No worries. There are actually companies that will do that for you for a small fee. 1). MailLift claims that nearly 900 companies are currently using their service. With each letter handwritten (no fonts), they guarantee that each one is reviewed by two or three people before being mailed. To further enhance quality control, each letter is also photographed. And to make your thank you letter even more authentic, each one is shipped from your location with a local postmark. MailLift can even help you automate your mailing by integrating with Salesforce.com, HubSpot, Marketo, Infusionsoft, and Zoho. And finally, MailLift can send your clients swag such as books or T-shirts for an additional fee. Pricing starts at $6.00 for a single letter. However, if you have more ambitious plans, they offer three programs for Prospecting Letters, Marketing Automation, and Sales Automation. The prices for those services range from $250.00 to $2,000.00, with monthly plans and a one-time setup fees. Still not convinced? You can even request a free sample letter. 2). Postable does not offer handwritten letters, but you can select from 20 different handwriting fonts. You can import addresses from Excel, Gmail, Yahoo! Outlook, and other sources. You can select not just Thank you cards, but cards for other occasions, including Birthdays, Holidays, Weddings, Congratulations, or even Blank cards where you can upload and do your own design. Postable will print, stuff, stamp and mail the cards for you. Unlike MailLift, they cannot mail the cards with your local postmark; however, they will mail your cards to you and you can send them out yourself. Prices range from $3.00 for a single card on up to $2.00 per card for five or more cards. 3). Handiemail states on their website that “in an age of emailing, texting and social media, we believe that sending real handwritten mail, both personally and professionally, is more important than ever.” Like MailLift, each letter is handwritten – no fonts. And like MailLift, Handiemail also photographs your final letter and reviews it before it’s mailed. You will receive an email once your letter is sent, along with a photo as proof for your records. The Chicago based company will also work with large-scale orders. Pricing for a single letter mailed domestically costs $9.95 or $10.95 internationally. If your letter is more than 230 words, they request that you complete their price quote form. 4). The Handwritten Card guarantees that each card is “100% genuinely handwritten by a real person using a real pen.” In fact, they show you handwritten samples of their work on their website. You can select a cursive or printed script. You can compose your own message or they can help you. They will also scan and email you a copy of the card once it’s completed. The pricing starts at $5.00 per card. If you want larger orders or have special requests, please contact them. 5). That’s Gratitude not only provides personalized handwritten cards and letters but can also help you with branding and print services. For example, the Maryland based company can help you with ads, postcards, brochures, catalogs, booklets and more. Unlike some companies mentioned here, they don’t mail your cards for you. Instead, they send them back to you stamped and ready for you to send directly from your local post office. Like most companies mentioned here, you can either use their stationery or provide your own. They also provide handwritten stationery for other occasions, including weddings and holidays. For business clients, they don’t provide pricing on their website. While there are no minimum orders, they prefer to have their business client’s work on a retainer arrangement based “on an average quantity.” They recommend that new business clients sign a four-month trial agreement. To help you further when it comes to writing Thank you notes, please check out Kelly Browne’s book 101 Ways to Say Thank You: Notes of Gratitude for All Occasions. 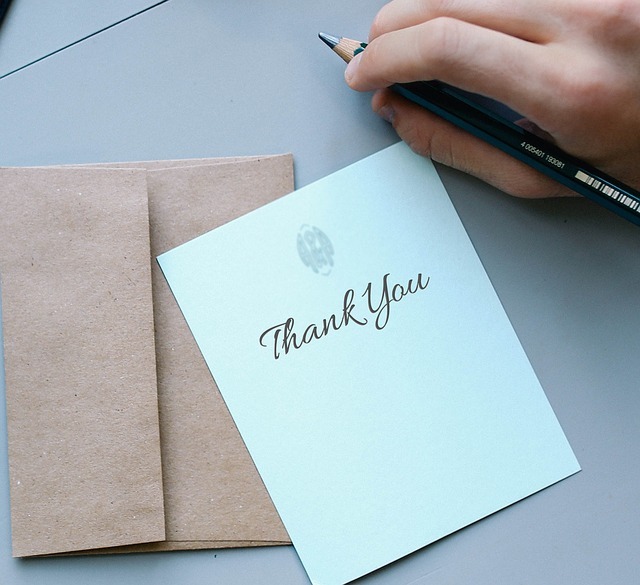 “Write Memorable Thank You Notes: 8 Steps,” by Nathan Parcells, and “How to Write a Thank-You Note,” by Trent Hamm. In part 1 of this post, I explained why I send out thank you cards to my clients. In part 2, I’m going to provide you with tips on preparing thank you cards. 1). Keep your thank you note short and to the point. This is not the time to make another sales pitch or close the customer. You are just one human being thanking another human being for being nice to you. 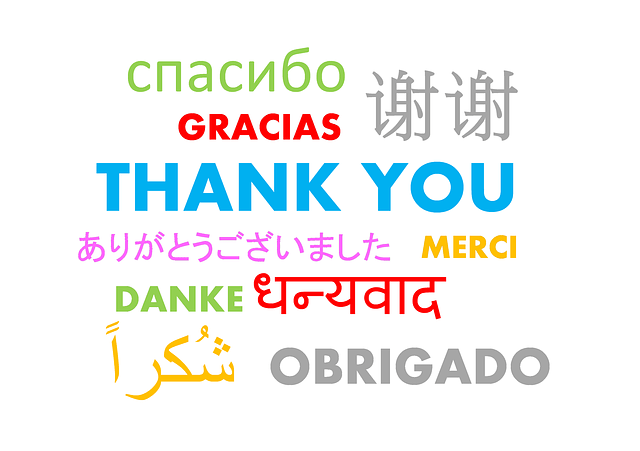 There are plenty of websites where you can find sample thank you notes. However, I would encourage you to try to be a little creative and use your own words. 2). Use high quality cards with super thick gloss or recycled matte cover. It goes a long way of telling that customer he’s important. 3). Attach a real stamp. I know postage is expensive and it’s tempting just to use the company’s postage meter, but I believe using a real stamp (especially one that is unique), will send a clear message that you took a little extra time preparing and sending out the card. (For example, President Truman was known for using real stamps when he personally corresponded to people). 4). Send out the card within 24 to 48 hours after an order or speaking with the client. Immediacy is important here. You want to be front and center of your customer’s mind, and be ahead of the competition. The longer you wait, the less impact your card will have on a client. 5). If you are lucky to work for a company that can afford swag, I would encourage you to send it with your card. For example, you could send a magnet. Or better yet, a mouse pad that will stay on someone’s desk for a while. Everyone wants to receive a gift. Sending out a gift with a funny slogan or picture can brighten up your clients’ days and make you appear more human. This is especially helpful when you are an inside sales person competing against field reps who can meet clients face-to-face. I’m a big believer in sending out thank you cards to anyone who places an order with me. Not only is it common courtesy, but it makes good business sense. 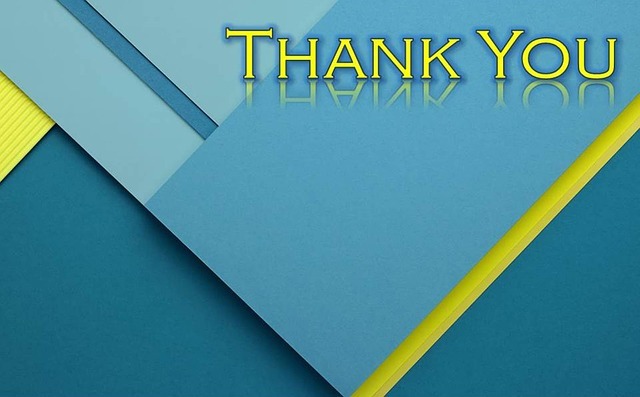 In this age of e-mails, receiving an old fashion thank you card will really make you stand out with your clients. You don’t have to be Shakespeare to write a note – keep it short and sweet. I always include my business cards when sending out a card for my clients to keep or give to their business associates. Besides sending out thank you cards for orders, you may want to send them for other occasions too. That would include thanking a prospect for meeting you, offering you a referral, or a one year anniversary of being a customer. Some people go a little overboard by sending thank you cards for almost every occasion. Those occasions would include talking to you over the phone, analyzing your product or even taking the time to talk to you even after they refuse to buy from you. While you should use your own judgment about when and who you send out cards to, I would only use them for unique occasions. If you start sending out too many cards to the same client or prospect, the uniqueness will begin to wear off. If you are lucky, you may be working for a company that already provides thank you cards monogrammed with the company’s logo and address. However, if you are in the habit of sending out more than one thank you card to the same person, I would buy some other types of cards. I personally prefer sending out funny cards because they brighten up everyone’s day. The more unusual and interesting the card, the more likely it’s going to be on someone’s desk for a while. And nothing would make your competitor more anxious than seeing your thank you card on the desk of the prospect that he’s trying to win over. In Part 2 of this post, I will outline some tips for preparing Thank you cards.